In Egypt's parliamentary elections, Islamist hardliners are winning in a landslide. IN THE FIRST ROUND of Egypt's parliamentary elections, the hardline Muslim Brotherhood's Freedom and Justice Party won 36.6 percent of the vote -- a plurality -- and the even harder-line Salafist party, Al-Nour, won 24.4 percent. 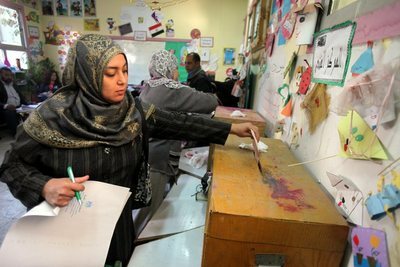 The Egyptian Bloc -- a coalition of liberal, social-democratic, and secular parties -- drew only 13.4 percent. So now we know what the "Spirit of Tahrir Square" looks like when it's put to a vote: In the world's largest Arab nation, the forces of sharia and jihad are winning in a landslide. The credo of the Muslim Brotherhood is explicitly illiberal and theocratic: "Allah is our objective. The Prophet is our leader. The Koran is our law. Jihad is our way. Dying in the way of Allah is our highest hope." Abdel Moneim el-Shahat, a Salafist sheik and Nour Party candidate, demands a society in which "sharia is obligatory" -- an Egypt, as he explained in a public debate, with "citizenship restricted by Islamic sharia, freedom restricted by Islamic sharia, equality restricted by Islamic sharia." Sad to say, these are the fundamentalist blooms of the Arab Spring. The Islamist ascendancy – in Tunisia, Morocco, and Egypt this year, as in Gaza and (non-Arab) Turkey previously -- bodes ill for the region's moderate and tolerant Muslims. Whistling past the graveyard, the editor of The Daily Star in Beirut exhorts the world to "Celebrate the Democratic Arab Moment," and declares that the commitment of Arab societies to democratic openness and pluralism "now seems firmly affirmed." Indeed, he says, it "was never in doubt, except perhaps in the minds of lingering colonialists and racists." The anti-Islamist liberals getting wiped out in Egypt's elections might beg to differ. Even more ominous are the prospects for the Arab world's Christians, who have been undergoing not a springtime of toleration but an increasingly frightful winter of suffering and persecution. Since the fall of President Hosni Mubarak, Egypt's Coptic minority has been repeatedly victimized – churches have been destroyed, homes have been vandalized, and jihadist mobs have rampaged through Christian neighborhoods. In October, Egyptian troops in Cairo's Maspero district slaughtered Christians as they protested the burning of churches in Upper Egypt. Even before the Maspero pogrom, Christians by the tens of thousands had been fleeing post-Mubarak Egypt. You don't have to be a "lingering colonialist and racist" to fear there may be even worse to come. Egypt isn't the only Arab country whose Christian communities are being decimated by Islamist brutality. Since the toppling of Saddam Hussein in 2003, The Wall Street Journal noted on Monday, "at least 54 Iraqi churches have been bombed and at least 905 Christians killed in various acts of violence. . . . Hundreds of thousands of Iraqi Christians have fled." The archbishop of the Chaldean Catholic Church in Kirkuk and Sulimaniya calls the emigration a "hemorrhage," warning that "Iraq could be emptied of Christians." In Syria, meanwhile, Catholic and Orthodox communities are terrified of what awaits them if the current regime is overthrown. According to the German newsmagazine Der Spiegel, the country's archbishops were summoned to the presidential palace soon after the uprising against Bashar al-Assad began, and bluntly warned: "Either support me, or your churches will burn." John Eibner, CEO of Christian Solidarity International, has issued a genocide warning for Christians in the Middle East. The harrying of non-Muslim minorities in the Middle East is hardly a new phenomenon – nearly all of the Arab world's Jews were driven out long ago – but the rise of radical Islam has lethally intensified the problem. Last month, Christian Solidarity International, a respected human-rights organization with deep experience in the region, warned that Christians there may be facing genocide. 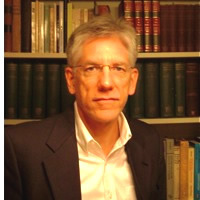 "The crisis of survival for non-Muslim communities is especially acute in Iraq, Syria, Egypt, Sudan, Iran, and Pakistan," the group's CEO, John Eibner, wrote in a letter to President Obama, imploring him to act urgently to prevent the kind of "religious cleansing" that eradicated Turkey's "once-thriving Christian communities" a century ago. It takes more than voting to sustain decent democratic values. Totalitarians from Hitler to Hamas, after all, have come to power via the ballot. Revolts and demonstrations may topple Arab dictators, and their replacements may be chosen in elections. But there will be no Arab Spring worthy of the name without pluralism, freedom, and tolerance. "Such tolerance is particularly important when it comes to religion," Obama declared last May – so important that America would defend it with "all of the diplomatic, economic, and strategic tools at our disposal." Fine words. But with Islamists sweeping to power around them and human-rights activists warning of genocide, the beleaguered Christians of the Middle East need more than words.